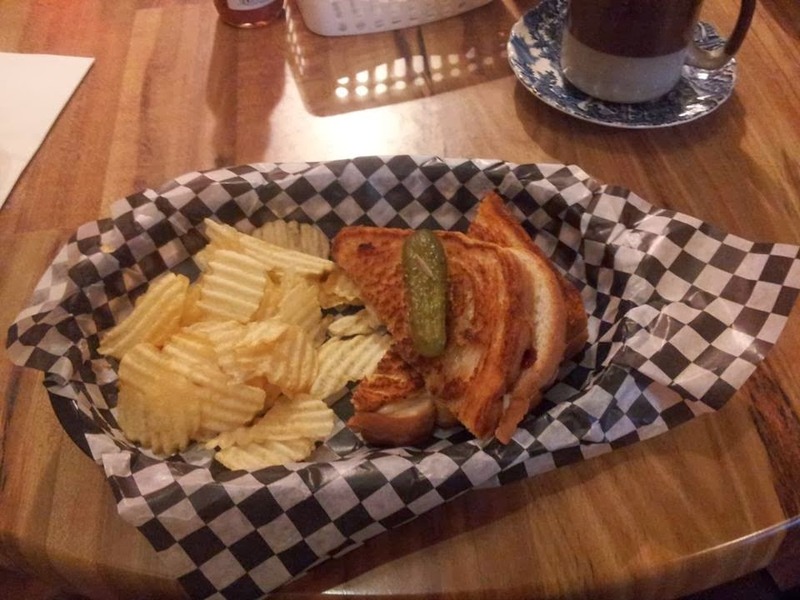 I have been putting off going to the Grilled Cheese Social Eatery on Dunlop Street for months now, only because a friend wanted to try it with me and we haven't succeeded in making concrete plans to go there together. I hope she'll forgive me, but I couldn't hold off any longer. My daughter signed up for vocal lessons at the nearby Earthtones music shop on Monday and the timing was just perfect for a bite at the Eatery. Sorry, Della. 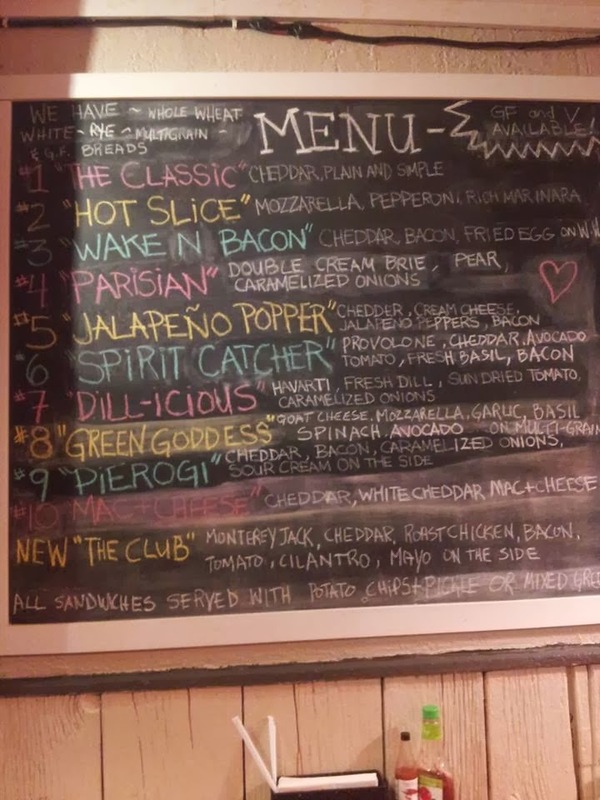 It was cold and blustery outside, a wicked wind racing down Bayfield Street headed for the bay, so I definitely needed a coffee, but the menu was a mystery to us as we walked in. After all, how many ways can you make a grilled cheese sandwich? My daughter chose The Classic, your basic grilled cheese on white, which surprised me as she is usually culinarily adventurous. My son picked the new The Club version, and I went for the Dill-icious grilled cheese. While my dining companions chose salad as their sides, I rebelled and got potato chips. What do I like about the Eatery? It is cosy and warm in several ways. The space is small, a size I would like if I owned my own place, with choices between cosy nooks, ample tables or a window counter with tall chairs ideal for people watching. The music is eclectic as are the homey mismatched china cups and saucers. The food is warm, melty, toasted goodness just like your mum used to make. You can even have that bowl of tomato soup to go with it. Comfort at it's best. 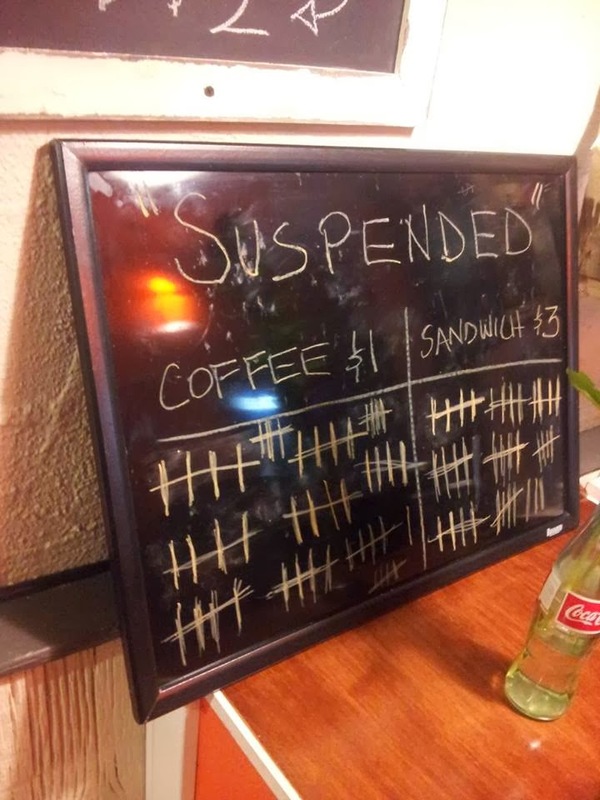 Take comfort in this too - you can make a difference in the life of another Barrie citizen by participating in the growing Suspended Coffee movement which has come to Barrie via the Grilled Cheese Social Eatery. It is a similar idea to paying for the person behind you in a line up for coffee, popular at Tim Horton's outlets, but in this case the person behind you is in need of your help to buy that coffee. Randy Aylwin, owner of the Eatery, explained that he often sees the same faces outside, those of Barrie's less fortunate citizens, trying to make it through another cold day outdoors until the soup kitchen or shelters open up for a few hours of relief from the elements. He will be taking these suspended hot coffees and sandwiches outside and handing them directly to those who need them the most. I bought 10 suspended coffees on my visit and as Randy added my ticks to the chalk board, he told me that he is actually going to need a bigger chalk board because the word has spread and donations are coming in from all over, many anonymously, more than this little board can reflect - a thought as warming as Randy's sandwiches. 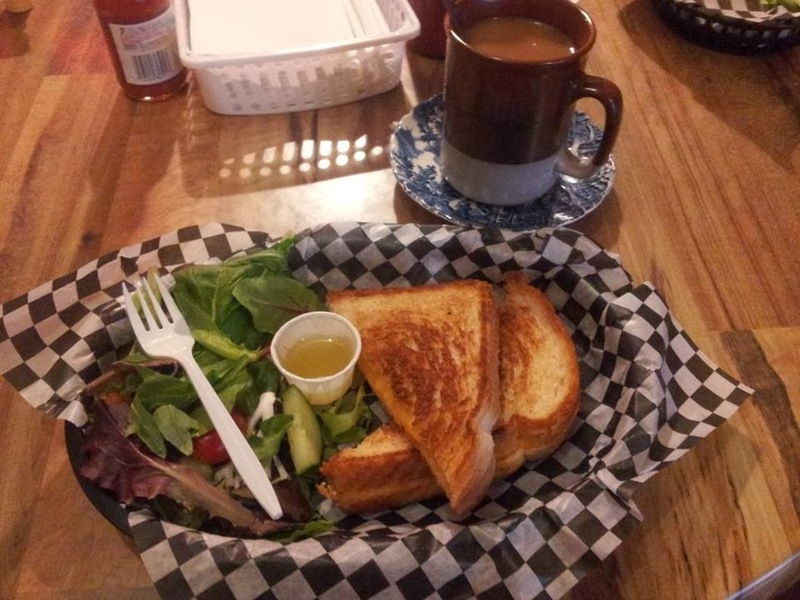 Take a break downtown some time and pop in for lunch at the Grilled Cheese Social Eatery at 53 Dunlop St. E. Food for the body, food for your caring soul.